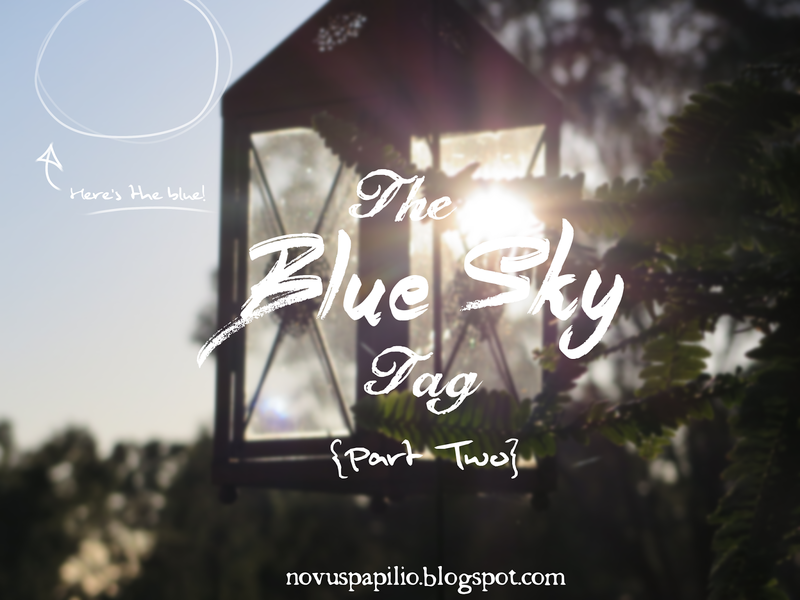 Novus Papilio: The Blue Sky Tag :: Part Two?? Oh hello. We're back here again! Funny how that happens..
Give them 11 new questions. 1. Do you like chocolate? 2. If you had to choose between being a ninja or a super hero, which one would you pick? So while superpowers would be amazing (specifically the power of flight and invisibility)... I think I'll have to go with being a ninja. Mostly 'cos there's more skills involved annnnnnd being a superhero sounds super stressful. 3. On a scale of 1-10 (1 being the lowest and 10 the highest): rate fireplaces. Fireplaces are a good way to keep warm in winter (and autumn sometimes) and are immensely pleasing to watch at night. I mean, have you ever just sat there and watched the flames dance around? It's so pretty. 5. Are you more introverted or extroverted? *squints at the four percent* How'd you get there? 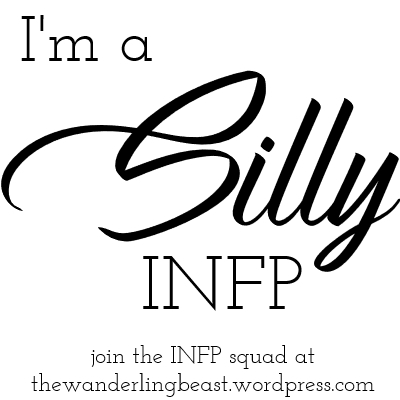 This is from the last time I took the myer-briggs personality test, annnnnd.... basically I am a very introvert-y introvert it seems. 6. If you had to choose between going to Paris or Cairo, where would you go? WHAT'S WITH ALL THE GREAT QUESTIONS?! They both sound so cool... But considering that -realistically- I'd much rather stay at home, and that this question is implying that I have to go to one of these two destinations (or else the world will explode, perhaps.) then I guess I'll head over to Paris for a while. Just since there is a small part of me that wants to see the Eiffel Tower one day, and that I know a tiny smidgen of French that might help me out with getting to places and so on. But they both only really happen if I'm bored of just having water and if I'm feeling particularly adventurous. 9. If you had to choose to either write for the rest of your life, or draw for the rest of your life, which would you pick? Okay, so I'd pick drawing... 'cos I just feel more creative while doing that... Plus I can still technically create a graphic novel.. only that it would have no words. I'm not really sure where I stand on that.. I sorta like both but not enough to say for sure. They're both great depending on the individual animal's personality, and if I see one at someone's house then zoop-- off I go to see if they'll be my new animal friend. But really, I'm just more of a bird person. 'Mango Breeze' by Vexento and Allison. They're both very nice and relaxing. Aaaaaaalrighty, I believe that's all the questions done. 4. What’s your favourite instrument? 6. If you were stuck on a deserted island and you could only bring one thing, what would it be, and why? 8. If you could have dinner with any 3 people (dead or alive), who would they be? 9. Is there a hobby/skill that you’ve always wanted to try but never did? 10. What's the worst (or best, depending how you look at it) pun you can think of? Yaaasss, who needs all-time favourites? (*not-so-subtle-cough* Me. I do. *not-so-subtle-cough-the-second* XD) And yay! I'm glad you liked them :D The questions were really fun!